Cape Cod is consistently ranked as one of the Top 10 spots for Whale Watching experiences in the World! The waters off the tip of the Cape are teeming with Humpback, Finback, and Minke whales. Even the endangered Right Whale is making a comeback with hundreds expected in the Cape Cod Bay this year. The Cape’s unique geography as it sticks out into the ocean puts us nearly in the middle of whale breeding grounds. 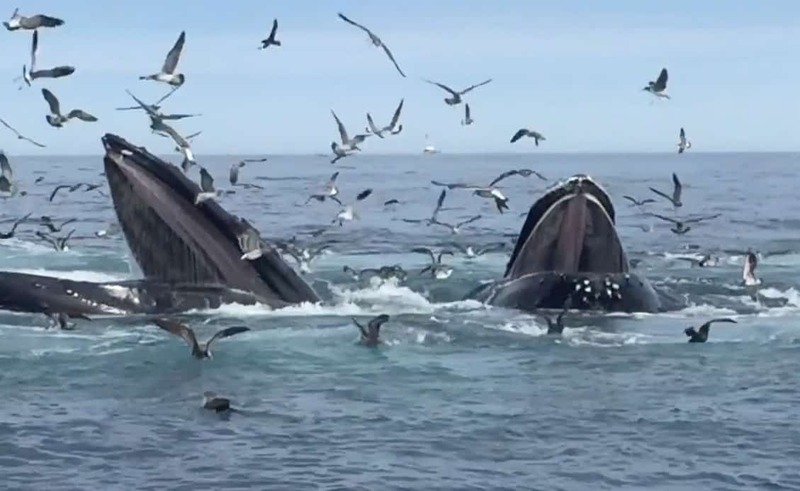 If you want to see whales, guaranteed, this is the place to be. The Platinum Pebble Boutique Inn has worked closely with the Dolphin Fleet Whale Watch out of Provincetown over the years…and for good reason. Every single Guest that we have hosted that has toured with Dolphin Fleet has seen whales, a lot of whales! 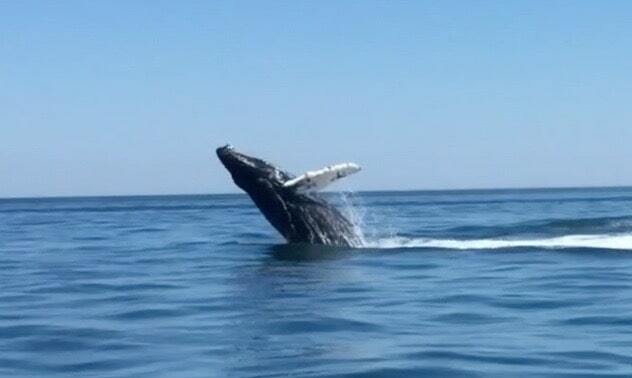 A day of Cape Cod Whale Watching is a full day of fun. One of the reasons we enjoy working with Dolphin Fleet so much is that their home port is Provincetown. 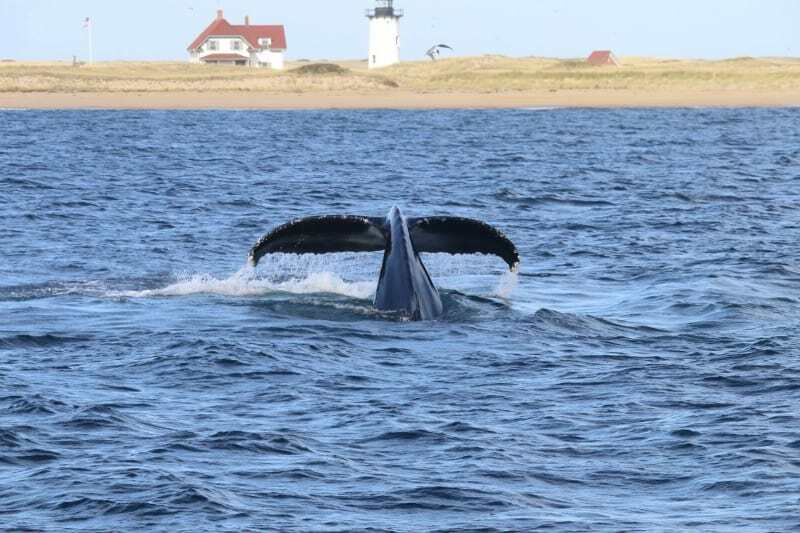 Not only is this the closest port to the Stellwagen Bank Sanctuary where the Whales reside but, going to P’town takes our Guests through the best part of Cape Cod, the Outer Cape. It is a day full of lighthouses, majestic sand dunes, incredible beach strolls, walking/shopping Commercial Street in Provincetown, and delicious food! The trip to Provincetown is as much fun as the Cape Cod Whale Watching itself. You will not be disappointed. We have even had Guests spot whales from shore at Herring Cove and Race Point Beach! Come prepared for the best experience possible. This means sunscreen, binoculars, camera, sunglasses, and maybe even a rain poncho to avoid the Splash of the whales. The tour itself is about 3-4 hours and the weather can change pretty quickly at times. Layers are always a good thing as the temperature can change drastically from inland to the coast. Our recommendation is to try to schedule a sunset tour and get the best of both worlds. The more notice we have for reservations, the better. Heading back into Provincetown Harbor as the sun is setting is a magical experience you will not forget. If you are a Guest of the Platinum Pebble Boutique Inn and would like to set up a day of fun Cape Cod Whale Watching, we are happy to help. From ponchos to maps, tickets to suggested stops along the way, and even dinner reservations on your way back to the Inn are all covered for you. All you need to do is enjoy and relax. This is why you are on vacation. Private Whale Watching tours are also available. We work with a premier local guide and Yamaha National Fishing Team member, Captain Darren Saletta, who has 25 years of experience on the waters off Monomoy and the Outer Cape.